As the train pulls into Brierfield station an imposing brick building dominates the landscape. Standing on the bank of the Leeds & Liverpool Canal, Brierfield Mill is a physical remnant of the once booming cotton industry in Pennine Lancashire; enabled by a heady mix of ideal climatic conditions and canny entrepreneurialism. For over 150 years the mill was the beating social and economic heart of Brierfield. As the textile industry slumped into a slow decline after the First World War, the mill rattled on until 2007 when the mill closed its gates forever. 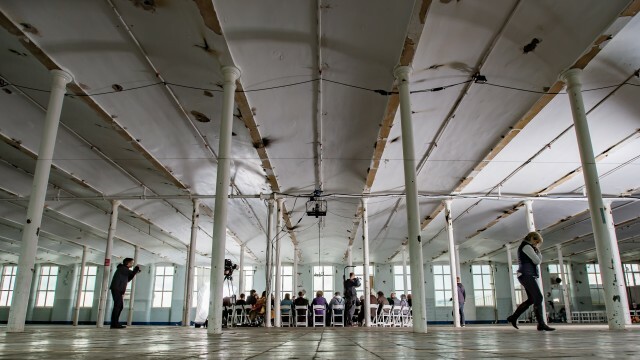 I’ve been invited to attend three days of events at the former mill marking the culmination of Shapes of Water, Sounds of Hope a project, commissioned by Super Slow Way and In-Situ, by pioneering socially engaged artist Suzanne Lacy. 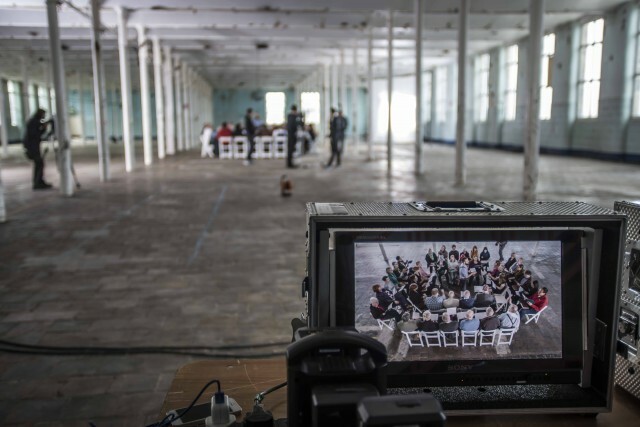 In the biggest cultural gathering ever seen at Brierfield, over 500 people will be involved in making a film, tours of the mill and interviews before joining together for a mass closing banquet on Saturday evening. It also marks the mill’s last hurrah in its current industrial manifestation; work has started on the £32 million Northlight redevelopment that will repurpose it as a ‘destination’, including a luxury hotel, spa, retail units, Burnley FC’s community training facility, community leisure centre and Lancashire Adult Learning’s county offices. Lacy is in Brierfield due to Super Slow Way, an ambitious arts commissioning programme working with the diverse communities situated along the Leeds & Liverpool Canal. Since its inception in 2015, Super Slow Way has brought a range of local, national and international artists and producers to the region. From artist Najia Bagi working with the young homeless charity Nightsafe in Blackburn, to the recent Kinara Festival, a celebration of Islamic culture in the region, Super Slow Way projects have embraced socially engaged practice as a vehicle to explore art means to those who live in Pennine Lancashire. People are at the core of Super Slow Way. By bringing artists together with communities, it aims to engage and challenge people who feel that culture isn’t for them; that it is somehow irrelevant from their everyday lives. This approach invests in long-term conversations and events taking place on the ground, within the fabric of communities, from boxing clubs to care homes. A recent musical celebration marking the bicentenary of the Leeds & Liverpool Canal, and its transformation from the lifeblood of the Industrial Revolution to a contemporary leisure environment, paid homage to the conceptual and geographical importance of the canal to the programme. The complex relationship between communities and place has been the catalyst for many Super Slow Way projects; Brierfield Mill is no exception. Today, in sharp contrast to the limbo it has been suspended in since 2007, the mill is a hive of bustling activity. The vast ground floor space is being power cleaned, with rows of cabaret tables and identical chairs stacked up ahead of Saturday’s banquet. On the first floor, Lacy’s technical team are using a scissor lift to install a lighting and camera rig to the ceiling. Across the room, volunteers are repainting the fading turquoise walls; nearby, preparations are underway for a former mill workers tea later that afternoon. As part of the welcoming former mill workers back to their old stomping ground, a row of flat-screen monitors have been carefully installed against load-bearing pillars. Each monitor features several different interviews recorded with local Pendle residents, and ex-mill workers, across diverse ethnic backgrounds. Filmed on site, these high-resolution recordings bring together differing vantage points of Pendle, from working life at the mill to people’s individual hopes for the region, prompted by questions agreed with Massimiliano Mollona, lecturer in Anthropology at Goldsmiths College, and one of the project’s many collaborators. I’m spending the afternoon shadowing filmmaker Graham Kay as he shoots more film interviews. Along with Super Slow Way’s Elena Adorni, they’ve conducted 51 interviews so far in different parts of the mill – at Lacy’s request – to capture the different textures, acoustics and feelings of this extraordinary building. Today they are filming in an atmospheric but dilapidated side-room, complete with layers of worn-down concrete and broken windows. Adorning the wall is a stunning remnant; a torn patch of printed wallpaper adorned with colourful swirling flowers – possibly from the 1960s – which is now an archaeological relic. In between shoots we speculate what this small non-industrial room was originally used for. Next to be interviewed is Dudley, a pleasant and jovial Brierfield resident, and Richard, a lollipop man who moved to Nelson from London three years ago. Dudley tells of his experiences living in the area and how he’s developed a friendship with the Sufi community through involvement at Nelson’s Free Spiritual Centre, a community hub that aims to encourage cohesion amongst local people, regardless of their background. Dudley is open-minded and speaks honestly about cultural divides within Brierfield but speaks warmly of a recent day trip walking with the Sufi community. “They don’t drink, they don’t swear but I’ve never laughed so much in my life; they are welcoming and genuine people.” Richard believes that a community spirit does exist but also emphasises the importance of community platforms to support local integration. He cites the Free Spiritual Centre’s Friendship Cafe in Nelson, a monthly free and inclusive event aimed at encouraging conversation over hearty home-cooked food. After watching several interviews being recorded, as well as those on the monitors, I’m struck by the range of perspectives and life experiences captured. Ranging from White British locals to families of Pakistani machine operators that arrived after the Commonwealth Immigrants Act was passed in 1962, these interviews constitute an important anthropological record of contemporary Pendle. Importantly, they also demonstrate that the family trees of many Pendle residents are firmly rooted in the mill’s industrial soil. Despite the dominance of the mill within Brierfield life, for many residents it has always been off limits, even when it was operational. The chance to go beyond the locked gates for a two-day open house has piqued the interest of both residents and heritage aficionados. 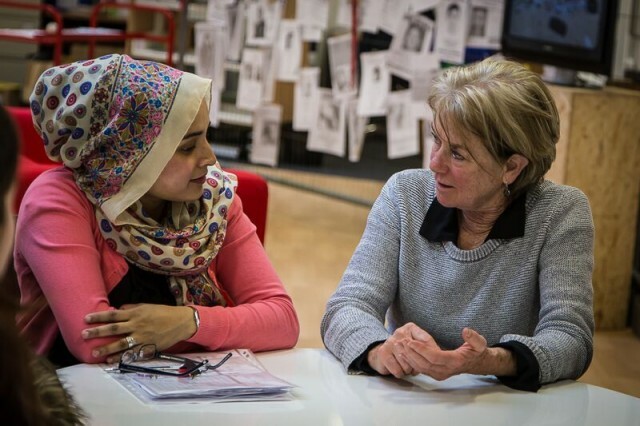 Volunteers Zoya and Tayeba, from Brierfield Action in the Community, are tasked with leading culturally mixed groups of 10-15 people around the mill each hour. Enthusiastic and well informed, I’m surprised to later learn that Zoya and Tayeba have only been with the project for one month acting as project ambassadors in the Asian community. They astutely weave historical mill facts with good-hearted banter. As one of the early integrated cotton mills, which combined the processes of both spinning and weaving, the mill housed over 2,000 workers and substantial industrial machinery; it’s no surprise that these colossal spaces are astonishing. As the group digests the sheer size of a former spinning room, local Nasheed artist Hussnain Hanif slowly walks across the space shattering the silence by singing. His voice is both haunting and beautiful; it’s a poignant moment, one that fleetingly humanises this now transitional space. Warm applause follows. Over Thursday and Friday, I meet several people who have returned to their former stomping ground for the tours. Bubbly sisters Jean and Marilyn, recant hilarious and poignant stories of hijinks working in the mill as young women – alongside backbreaking hard work. On the same tour I meet Antony. After leaving school, his first job was scraping down looms and cutting waste at the mill. He’s back for the first time since leaving. He explains how, as a naïve youngster, he was first unaware of natural working divides between Asian and white workers across departments. With many Asian workers having migrated without being able to speak English, this wasn’t a surprise. Interestingly, he reveals that the room where Graham and Claire are filming was a staff café; the scrap of wallpaper suddenly makes sense. Each tour concludes at masterplans for the new Northlight development installed on the first floor. For the majority of attendees, it’s the first real encounter with the scheme that could potentially dramatically alter their community. These computer-generated mock-ups show how the mill will be transformed and what will feature at the new site. Arguably prompted by lack of Asian faces featured in these computer aided illustrations, Zoya and Tayeba wrap up by asking attendees if they believe new plans will improve diversity in the area? There’s an awkward silence. Conversations continue after the tour with everyone in agreement that the development is much needed. Yet the wider issues in Pendle won’t be solved by this regenerative intervention alone; the importance of communities actively discussing and shaping their own future is paramount. In partnership with Super Slow Way, In-Situ, an organisation greatly influenced by Lacy’s career, first approached the artist and social activist in early 2015 about working in Brierfield, as part of their artist-in-residence programme. Laurie Peake saw commissioning Lacy, a pioneer of socially engaged practice in both practice and theory, as a statement of artistic intent and an opportunity for In-Situ to work at previously untested scale. Since the 1970s, Lacy has shaped social engagement as an art form through a prolific career spanning performance, video, critical theory and community practices. Lacy’s work grows from engaging with the social and urban issues pertinent to the community she collaborates with. She begins by asking: what is it that the community needs most? This simple question situates the context for the work. Lacy admits she didn’t know where Brierfield was in England but was intrigued by research into the mill and how its closure fuelled an increasing divide between White and Asian communities who used to work together everyday. These complex social issues offered the chance for Lacy to collaborate with local gatekeepers and communities to flesh out an idea over an extended period. “I never arrive anywhere with a set idea for the community. Cultural partners within the community are identified with relationships developing over time. Paul Hartley, In-Situ, Laurie Peake and Super Slow Way are critical partners in this project”, Lacy explains. Like Lacy’s previous works, Shapes of Water… comprises of several elements, including video, performance and mass spectacle. 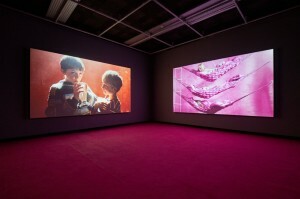 However, rather than filming the final performance in its own right, as with works such as The Crystal Quilt (1985-87), Lacy pushes the idea of a community making its own film. I ask Lacy what this means: “I had to ask myself, how would a film shoot best serve the people of Brierfield? It combines community meaning, built up through long-term discussions and relationship building over the past 18 months, with aesthetic elements of the performance, and filming it.” These unseen discussions on the ground constitute a vital part of the work itself. Tate Modern curator, Catherine Wood, considers Lacy to be an artist who uses aesthetics to make things happen in life. In order to deliver a project that blurs the boundaries between artwork and social intervention, Lacy wears several hats simultaneously, from project manager to artist. 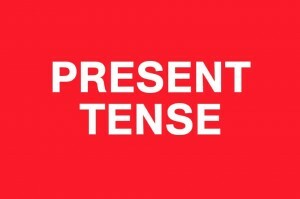 Does this create any tension? “The key is being a community developer while being an aesthetic producer,” says Lacy. “You need someone to make the call on spending £2,000 on identical chairs, for example, and to negotiate what a community wants/needs while identifying a true path for the project.” From the framing of the video interviews to the practical aspects of the shoot, Lacy possesses crystal-clear vision about how the project will manifest within the globalised contemporary artworld. 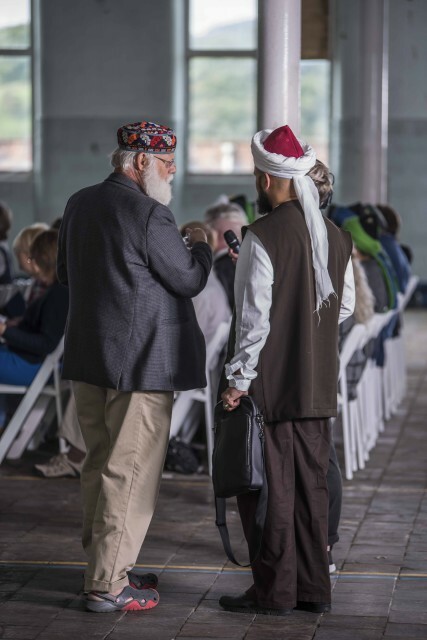 Lacy and Bashir worked closely with Paul Hartley on bringing the Dhikr and Shape Note traditions, two historically rich and established forms of community expression, together in Pendle. Bashir stresses the importance of Professor Ron Pen, an expert of early musical forms at the University of Kentucky, to this process. Pen visited Nelson with Lacy at her second event exploring the community experience. Over dinner, Pen providing context about Shape Note as a form of expression and its historical links to Pennine Lancashire. “The first public participation event was crucial in getting people to realise the commonalities between Sufi and Shape Note.” Crucially, Pen also developed a strong relationship with the Sufi community, further solidifying the collaborative core of the project. Bashir explains how after five meetings, conversations were gently steered towards pressing community issues. “We asked people to share their thoughts anonymously and then put these questions forward for people to answer, such as: ‘why does Pendle feel so downtrodden?’ and ‘why are Asians not integrating in the wider community?’ We found this model of raising difficult questions in a safe environment was highly productive.” As with many of Lacy’s previous works, such as Between the Door and The Street (2013), participants at the banquet will be asked to consider these questions through collective conversation. The process hasn’t been without challenges. Hartley explains how the second community dinner with Lacy and Ron Pen led to tense moments between Asian and white communities over religious symbolism and sacred phrases used in Sufi chanting. Yet these diverse participatory events became forums for understanding. Hartley also acknowledges the importance of Rauf Bashir in collaborative cross-community working and the presence of Ron Pen in helping local groups get to grips with Shape Note – and drumming home the importance of persevering: “A core kept coming to rehearsal sessions and with professional singers supporting them during filming, it will be fine.” Interestingly, Hartley suggests that learning Shape Note was itself a challenge from Lacy to help keep communities engaged rather than just simply attending meetings. For Hartley, intensively working with Lacy has prompted positive introspection about In-Situ’s own working practices. 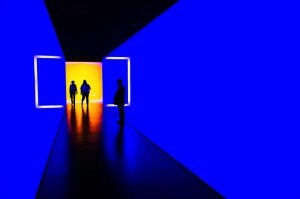 “In-Situ prefers slow interaction and building audiences over time, which is in contrast to Suzanne’s projects that emphasise scale and the spectacle. I’ve had deep discussions with Suzanne regarding this; we’re still digesting it in regards to In-Situ’s future work.” The impact of working with an artist with the international calibre of Lacy has impacted Hartley professionally. “I’ve definitely developed my own leadership elements, actively encouraging others and it has pushed me to develop new partnerships in the area. We’ve had about 850 people genuinely engaged in the project – that’s what it’s all about.” Hartley dashes off. Half an hour later he is upstairs in the mill speaking to stakeholders at the official launch of mill redevelopment. After building a positive relationship with developers Barnfield Construction, In-Situ will have a new office on the site: a clear indication of how culture can influence Brierfield’s new development. I arrive on Saturday morning – the final day – to find the mill crackling with energy. Shape Note singers are here after a social breakfast at City Hall, ready to be filmed. I’m escorted upstairs to observe from audience seating. With the cameras rigged up and production team locked in delivery mode, there’s no mistaking that I’m on a film set now. 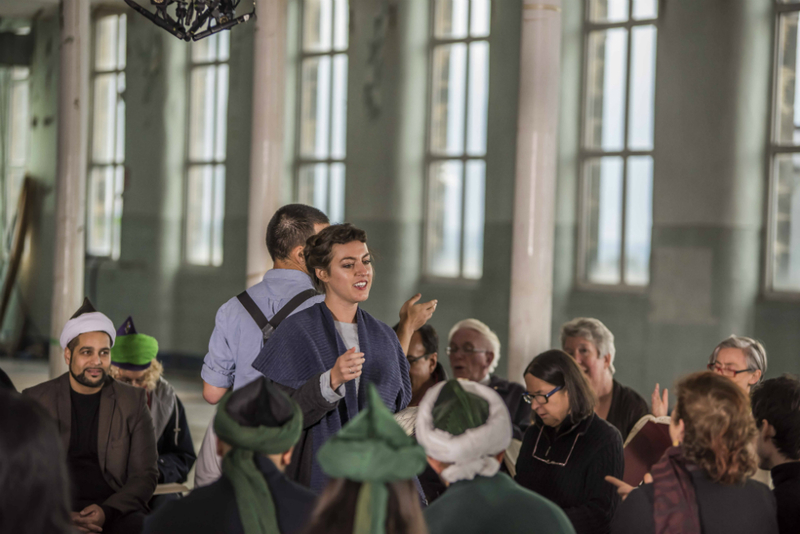 Over the next few hours, both Shape Note and Sufi chanting will be filmed from multiple different angles in an artistic representation that brings together two distinct cultural traditions in a gesture of solidarity. When the order is given for quiet on the set, a hush descends and the Shape Note singers are filmed walking across the stone floor to the “hollow square” seating chair arrangement. This traditional seating arrangement allows singers to face each other, with each side delivering a different vocal pitch. In a democratic gesture, there is no leader in Shape Note singing, with any group member free to stand in the middle and lead. Once seated, someone cracks a joke to ease the nerves. As the singing starts, the reverberating acoustics sparks the room into life, briefly hinting at the industrial noise that was the soundtrack of mill life. There are many different people here today. I’m sitting next to Carmel and Margaret who are part of Secret Singers – a local amateur singing group keen to try Shape Note – to professional singers invited from across the UK to support the performance. After several takes from multiple angles, Carmel, Margaret and many others, including members of the Sufi community dressed in traditional attire, join an expanded hollow square for an inclusive performance. It’s aesthetically, spiritually – and vocally – powerful. After lunch, the hollow square is reconfigured into the traditional circle associated with Sufi chanting – a symbol emphasising equality and communality between the group, whether at home or in the mosque. I spot Dudley taking his place. As the chanting starts, slipping between meditative and powerful vocal movements, the singers are supremely focused on the act. It’s an enlightening spectacle; a normally private act of spiritual contemplation brought into the public domain. Once the main chanting has been captured, all attendees are invited to take part in a mass group session. Ron Pen gives us a motivation pep talk to ease any angst (which doesn’t really help). After a successful rendition of Sufi chanting, the collective relief is palatable and smiling faces flash across the circle. That wasn’t so bad now, was it? The filming ends with a special fusion performance, led by Pen, Bashir and the experienced singers, that brings together these two unique forms of vocal expression. With Sufi and Shape Note singers facing each other, they exchange and then unite: a sonic gesture of understanding and humanity between two forms of vocal expression and cultures. It will be interesting to see how Lacy edits the final film, which will premiere at Brierfield in September 2017 before been screened at a major contemporary gallery. As food arrives the table dissolves into informal chat, from work to football. Shortly afterwards, our allocated questions from the community sessions arrive in envelopes. Our table is tasked with answering “Why do both White and Asian communities feel threatened by each other?” and “how can we create opportunities to work together collaboratively to reduced tensions in the local area?” The response to the first question takes issues with that assumption. Our table believes supporting opportunities for increasing sport and activity between communities will help cohesion. The discussions are genuine but, in the midst of the event, I think of the different conversations underway across the room and how these will be captured and followed up. Reflecting back across three hectic days in a chilly, disused mill in late September, I’m staggeringly aware it’s a difficult task to contextualise what has happened here, never mind over 18 months! In an area in which 63.2% of voters supported leaving the European Union in June, there are many social and cultural issues that require sustained, long-term work to address. No one is claiming that this project will magically solve anything. But what it has done, significantly, is to forge new spaces for community dialogue and strengthen the cultural and social ecology of Pendle. This is important. The closure of libraries and museums across the region represents a real threat to places where communities talk, debate and exist together. What marks Lacy out as an exceptional artist is her ability to place people at the heart of her wider artistic vision; the interviews, tours, openings, film shoot and banquet are all fragments of a highly complex mosaic that stretches far beyond a dark projection room in a gallery. A real legacy is the partnerships developed and increased capacity and confidence of those who work here. As Lacy reflects in the project publication: “In the best result for an artist, they [partners such as Hartley and Bashir] have taken this as a support for their on-going efforts and co-created meaning to suit the larger project of forging a better future.” The challenge now for Super Slow Way, In-Situ, the Free Spiritual Centre and those working across the area is to capitalise on this and continue to work alongside communities to shape the future of the area: Shapes of Water, Sounds of Hope does appear to be an apt title.